If you’re into sports betting and particularly if you’re into poker rooms you will certainly love the Ongame Network. The reason the name sounds familiar is that it is a rather well-known, high-end network that has been in the game for a while. It changed a few hands, getting owned by Amaya Gaming, Bwin, and then eventually NYX in 2014, which are all, as you know, big companies with a solid reputation. “<The Ongame Network> is powered by the new P5 technology which offers unrivalled performance, reliability and speed – coupled with great graphics and usability. The P5 Poker Engine represents a shift in mentality as much as it represents a shift in technology: it is completely modular and provides scalability without risking stability. P5 is paving the way for change” Intrigued yet? Let’s take a look under the hood. We have a few comments here, as we usually do, about vertical scalability (high amounts of traffic usually mean that the servers will hang sometimes, meaning the system has a potential of running slow). If you’re running into speed hang-ups like CEX.io did with Bitcoin in December, you know it’s the same problem: this company is quickly becoming a victim of its own success. The speeds may be slow sometimes, but the players are anything but, and the tables here are always full. 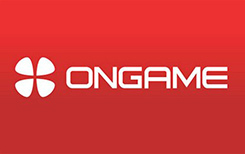 Ongame began as an online poker room, which was called (you guessed it) pokerroom.com. It has since then evolved into a company with an intricate gaming policy, which was named as controversial by some players. There is, for instance, a bonus system (check out our bonus collection here) which encouraged competition among players while rewarding less fortunate players. This system, which is thought by some to be fairer, also scared off some other players who were the “survival of the fittest” kind of people. That, coupled with the fact that their software was a little behind sometimes and seemed to need a little bringing up to date, gave this company a bad rep with some players. Still, today, given you have a decent PC, there is nothing stopping you from having a time of your life. We need to point out that the game quality here is a lot better than in other outlets we’ve seen (although not probably as good as Microgaming). If you’re looking for a wicked storyline and multiple table opportunities, this is it (just prepare to wait sometimes because, as we said, there can be a lot of traffic here because everyone wants to be here). In essence, just think of a nightclub and having to wait in line for a ridiculous amount of time because everyone wants to be let in. A bonus strategy that favors the weak.